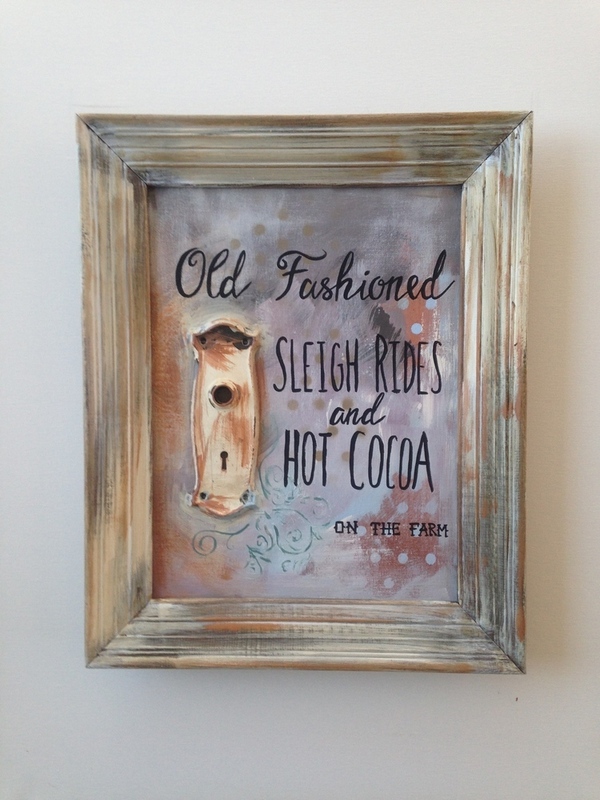 This original vintage doorplate U Painting is a 16 x 20 image with distressed frame. Color scheme is powder blue, lilac and burnt orange all throughout. Perfect in a fireplace mantle vignette!